Global Solar, now defunct, was once a CIGS manufacturer in full-scale production on a flexible substrate. Global Solar Energy was a CIGS flexible thin-film solar vendor notable for its small but real production volumes of 11-percent-efficient solar cell product. According to Inside Tucson Business, Tucson-based Global Solar Energy has laid off about 95 of its employees and ceased operations. 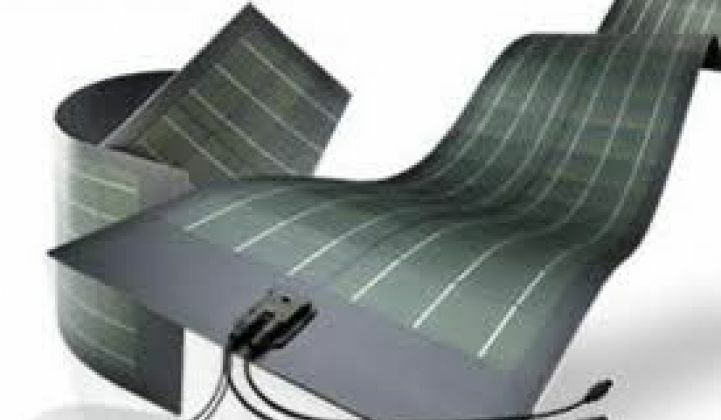 The company had a product line of portable solar charging equipment, flexible modules and building-integrated PV (BIPV). Global Solar had been selling CIGS products on a flexible substrate for more than eight years. The firm was founded almost twenty years ago by UniSource Energy and ITN Energy Systems. Solon acquired Global Solar for $16 million in 2006. The plummeting cost of crystalline silicon solar panels from China has eroded the value proposition of CIGS thin-film solar which has so far failed to meet its promises of low cost and competitive efficiency. Other CIGS casualties include AQT, which closed its doors in August. All of these CIGS vendors use vastly different technical approaches, but seemingly almost all will have similar fates -- either closing shop or selling at a loss to an Asian rescuer. MiaSolé found Hanergy, HelioVolt found SK Innovations, Ascent Solar found its own white knight in TFG Radiant. Solar Frontier, the leader in CIGS production, sells 13-percent-efficient modules. Solar Frontier, Stion, SoloPower, TSMC, NuvoSun, Nanosolar and a few others CIGS players are soldiering on in this materials system but still don't meet the price and performance of silicon photovoltaics. Nanosolar recently shipped more than 10 megawatts of CIGS solar to an installation in Valencia, Spain. "ISET is in the process of launching a new spinoff, Pioneer PV Solutions, focused on growing into a Tier 1 supplier of microsolar components to OEM’s. Our sprayable CIGS with monolithic integration provides customization capability along with superior quality, yield, scalability, aesthetics, diffuse-light performance, and pricing than c-Si scrap wafers. [...] Our existing prototype line (batch) is ready to be replaced by Gen 2 (inline) now that our process specs are well defined. ISET’s R&D function will be relocated separately from the new Pioneer PV effort." The firm will build small solar panels for integration into battery chargers and for DC power applications -- the same market once pursued by Global Solar.